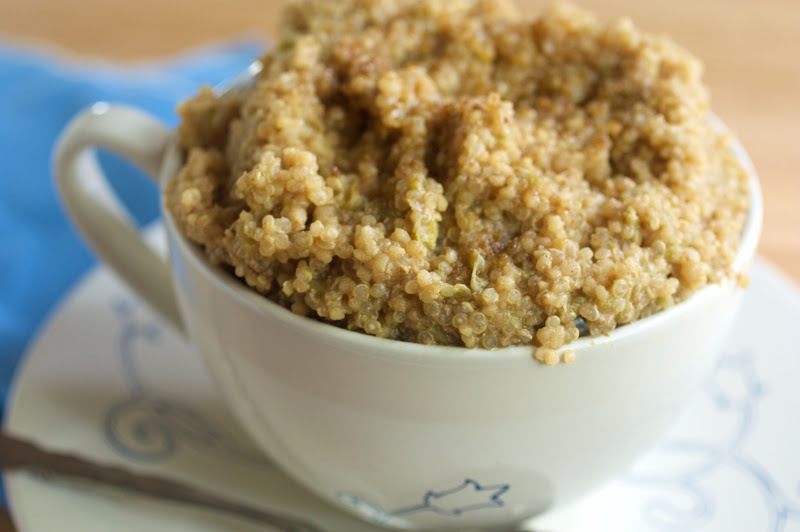 Rhubarb Cinnamon Quinoa | Naturally. My grandpa was kind enough to give my mom and I some rhubarb and I knew immediately this is what I wanted to do (you could also add strawberries for even more flavor.) This was such a great, hearty breakfast that I stayed full until lunch. 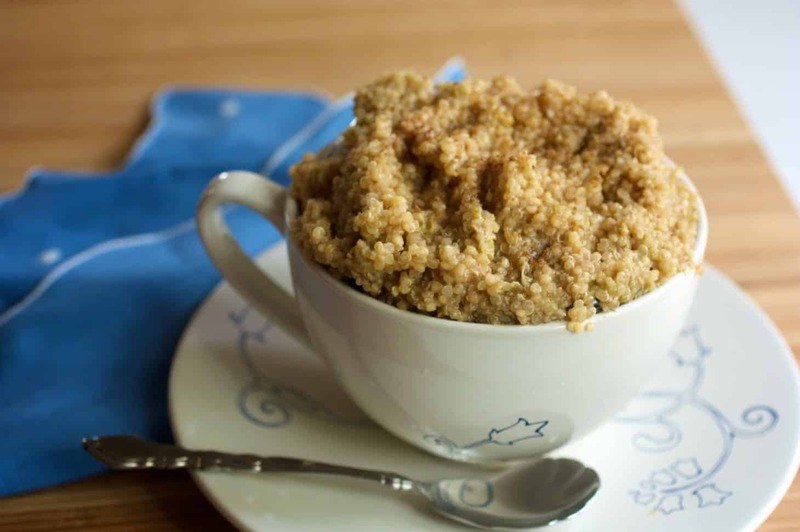 So go forth, let the oatmeal rest, and eat some quinoa for breakfast! In a sauce pan, combine quinoa, water, milk, rhubarb, cinnamon, and nutmeg. Bring to a boil, reduce, cover, and simmer for 15 minutes until most of the moisture has been absorbed. Remove from heat and stir in pecans. Taste and add enough sucanat to sweeten to your liking. What a brilliant idea! I can’t wait to try this! amen to quinoa addictions! can’t get enough. delicious and healthy, with so many options. look forward to popping back onto your blog. Just had this for breakfast with some leftover rhubarb compote – yum! Thanks for sharing, it’s a great flavor combo. This seems like a dumb question – but you put the quinoa in with everything uncooked? And it will actually cook okay with all that in there? Yes it does- the quinoa only takes a short amount of time to cook. I can’t wait for this to finish on the stove. I’m making it for my 9 month old – minus the nuts, milk (substituted water) and added sugar. She is going to love it! How do you prep the rhubarb? I don’t use/buy it often so I’m not sure. Do you chop it or slice it thin? Please let me know your thoughts! Hi! I usually just cut it into 1/2″ pieces. Nothing too fancy! This sounds so good….I can’t wait to try it…especially with some added strawberries to the mix…Strawberry/rhubarb pie is an amazing flavor combination.. so I am sure this will be a hit. Thanx for sharing! 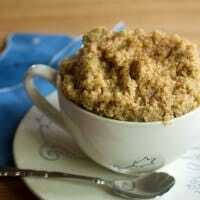 I stumbled on this recipe looking for a way to use quinoa and rhubarb in a healthy breakfast. I added sliced bananas and a little honey, and I toasted the pecans with brown sugar. Yum! Thanks for sharing.